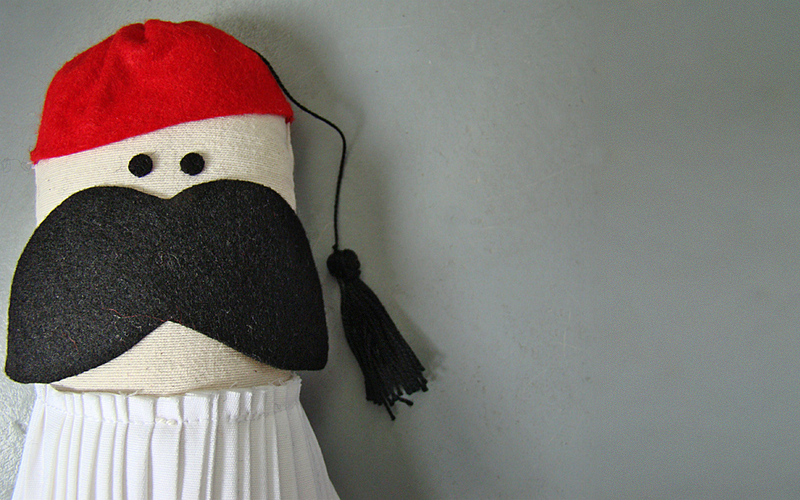 One could call Tasos the evolution of the tsolias or Presidential Guard doll. The creation of Marianna Kelali, a character designer and illustrator at Busy Bee, Tasos is described as a crier for Attica’s traditional tavernas, who dreams of becoming an evzone (or tsolias) outside parliament. The petit beurre is the quintessential childhood cookie enjoyed by children and adults alike. Ceramic artist Christina Morali, of Skoumoky designers, has turned it into a coaster, that comes in clay or aluminum, which goes a treat with the real edible version. 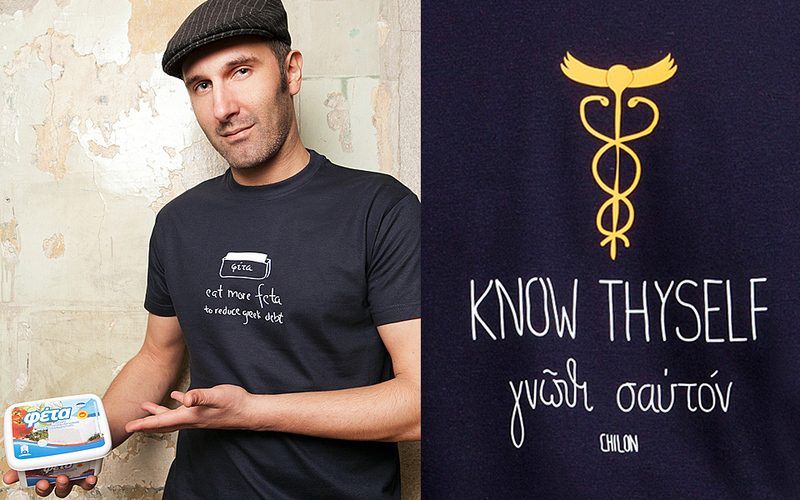 Koukoutsi (the Greek for pip) is a T-shirt label founded by Nikos Mainaris and Tasos Tzalazidis in 2005. Among their wide range of graphic design T-shirts, you’ll find ones with ancient Greek sayings or humorous contemporary mottos about the Greek crisis. A witty present for a brother, friend or partner. 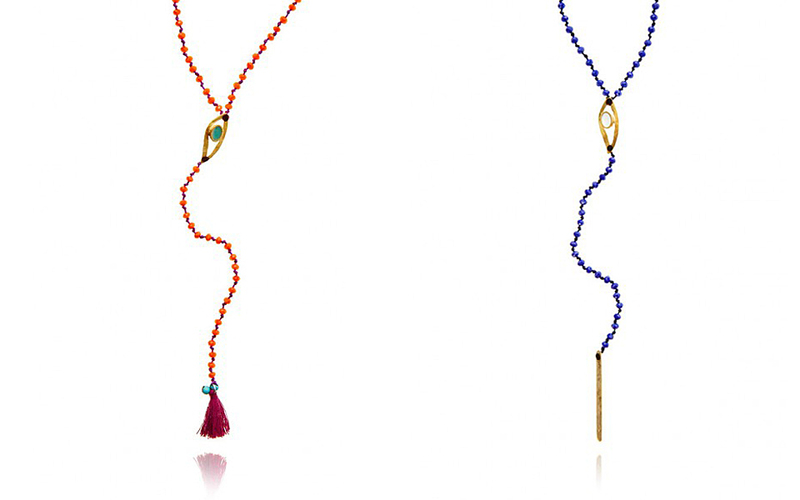 Mary Gaitani, an architect and jewelry designer, has created a series of rosaries, made of semi-precious stones and 24K gold-plated sterling silver elements, which incorporate the symbolic charm for warding off the evil eye. An elegant and thoughtful present for your loved ones, rosaries can be worn as necklaces. 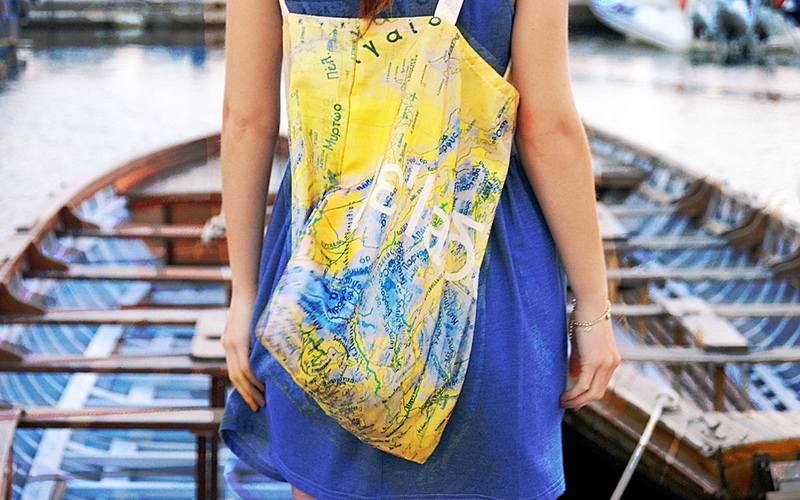 Inspired by the old maps used to teach kids geography in bygone days, Katerina Rotsou uses silky polyester fabric to create the ultimate Greek tote bag. Been to Crete and you want to remember your journey? 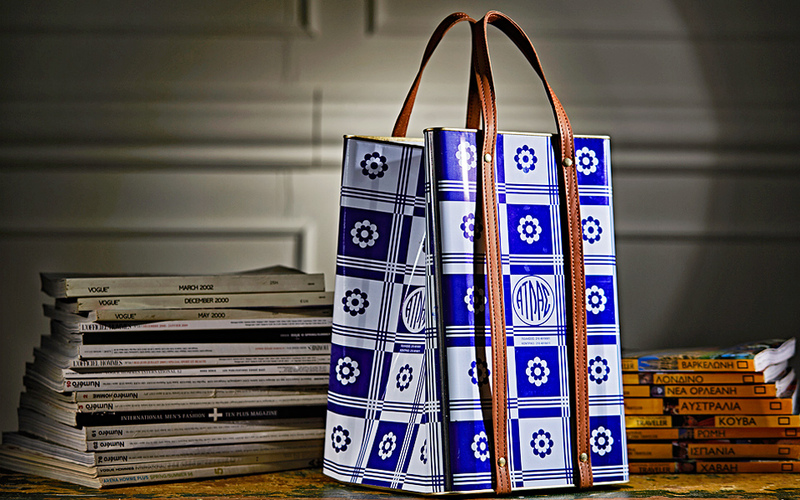 Why not carry a piece of it (or some other part of Greece, for that matter) on your bag? A unique present to locate for you or your friends. 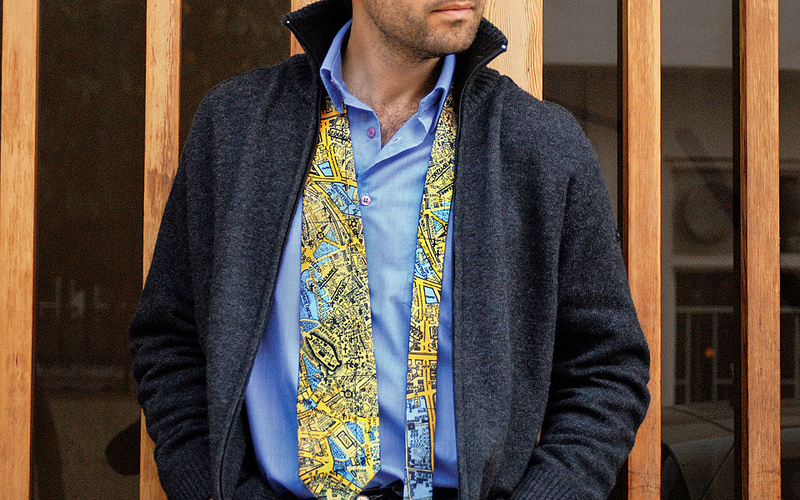 Again inspired by maps, this time of cities, Katerina Rotsou has created a highly unusual tie for the urban enthusiast. Ideal for your partner or your trendy dad. 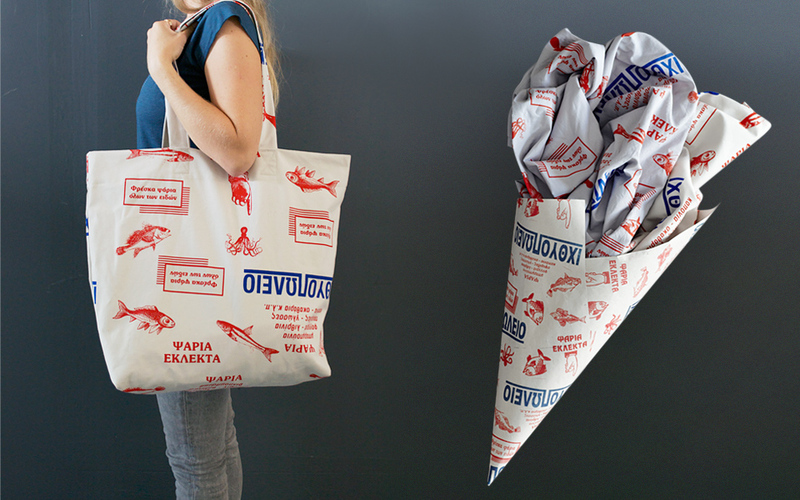 Using traditional Greek fishmonger packaging, We Design has created a canvas tote bag for you to carry things in the same way the paper is used to carry fish. Called the Fishmarket, it is part of the design agency’s Greece Revisited series, through which they seek to redefine the Greek souvenir by humorously revisiting everyday Greek objects and giving them a new purpose in life. 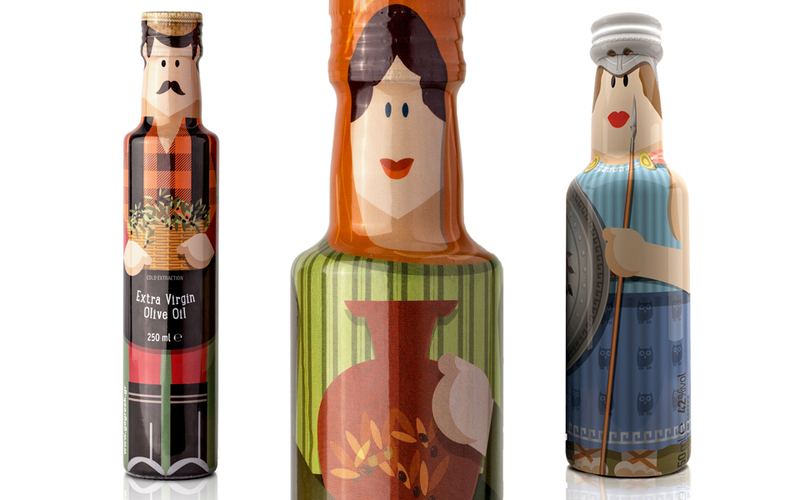 Gogreek design company has bottled ouzo from Mytilene and organic extra virgin olive oil from Pylos in the Peloponnese for you to take home in cute, irresistible collectible bottles designed by George Yonas. The ouzo miniature bottles portray figurines with traditional Greek costumes or the twelve Olympian gods (that’s Athena on the right) and the olive oil bottles portray a traditional Greek farming couple. Also part of We Design’s Greece Revisited series is a modern, upside-down interpretation of a classic Greek metal funnel. 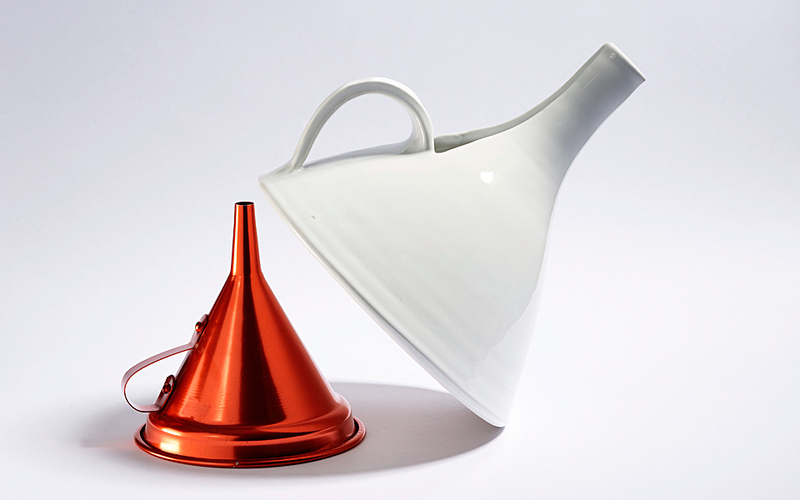 Useless as a funnel since it has a base, this high-quality, ceramic version can be used as a carafe, with a capacity of one liter. Handmade in Greece from local materials, it’s an elegant present for your partner or mother-in-law. 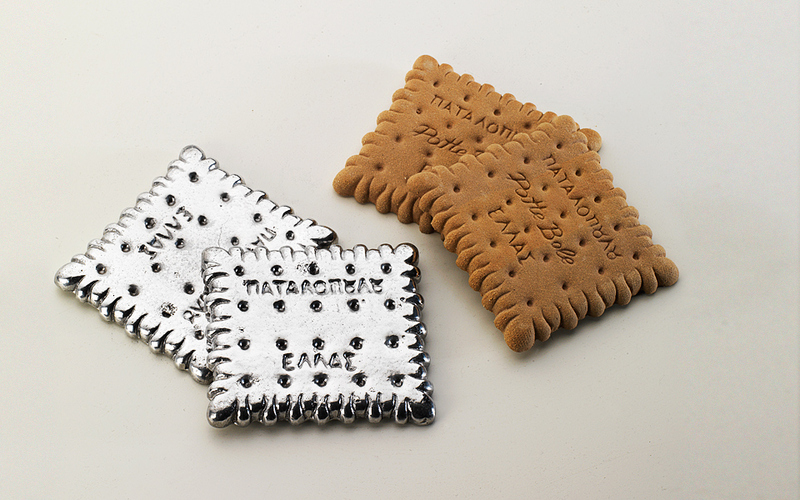 10 original souvenir ideas, created by Greek designers, that are bound to astound. Part of the appeal of the souvenir worldwide is undoubtedly the kitsch element. Few travelers expect quality or design when it comes to mementos from their trips. In fact, they often purposefully seek out the silliest or most useless trinkets to remember their trip by. In Greece, we can pride ourselves on offering tourists a great variety of souvenirs. Inspired by our rich history and mythology are the arm-crossed Cycladic statuettes, goggle-eyed owls and stern looking philosopher busts. There’s also our version of the ridiculous, like wooden phalluses as key chains or bottle openers. If, however, you are fed up with cliché souvenirs and want to surprise your friends and family with something classy and contemporary, there are many Greek designers who are seeking to redefine the souvenir, by drawing inspiration from the past without, however, trivializing it. Here are just a few of their creations.